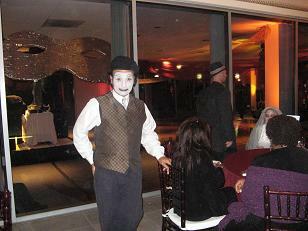 Todd Elliot Entertainment provides top quality professional Mimes for any event, or party. 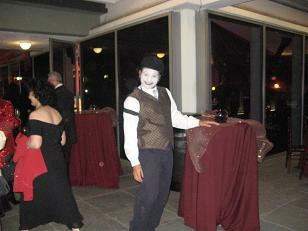 Our Mimes are fantastic, funny and professional. Even some balloons for kids parties. Our mimes combine classical mime training with amazing mask work and a lighting fast shadowing technique to produce a powerful physical comedy routine. His humor is reminiscent of Chaplin-Marceau and his style professional. 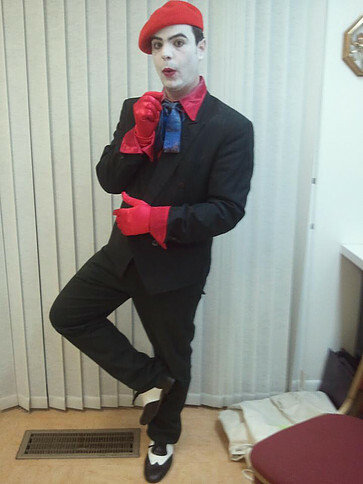 M-Mime is another fantastic entertainer full of laughs and talent. ten or ten thousand, everyone is included in his topsy-turvy world. He has worked at all the major California theme parks including Disneyland, Knotts Berry Farm, the Queen Mary, Universal Studios Hollywood and Six Flags Magic Mountain. With performances at hundreds of fairs and festivals and theme parks, M is a fan favorite. Whether riding a unicycle, juggling, or fighting an imaginary duel, M’s rubber face and body make each moment a frenzied fantasy. 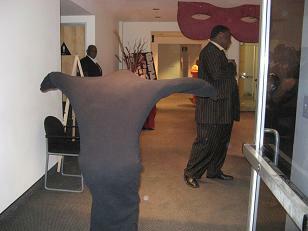 Delighting both adults and children, his antics create laughter wherever he performs. 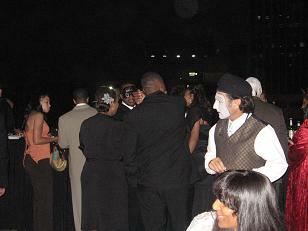 M Mime can adapt to any party and make it memorable.